Posted on April 18, 2019 at 3:09 pm. Perception. Adoption is one of those institutions in which almost every person has a view point. Maybe it’s because they were adopted, or their grandparents were adopted. Maybe it’s because you’re an adoptive parent, or you want to be one. Maybe, just maybe, your view point has been shaped by movies, books or the latest celebrity adoption. Ask ten different people what they think about adoption, and you are guaranteed to hear ten different answers. Recently we asked families, both birth parents and adoptive parents, to share statements and questions from others that have left them hurt or discouraged. None of what we heard was anything we hadn’t heard before. Yet hearing them still, in 2019,was disappointing. It feels as if no matter how much education is out there, no matter the example our birth parents and adoptive families set, attitudes toward adoption are sometimes holdovers from another era. Our adoptive families have been called everything from baby snatchers to saviors. Our birth mothers have been called everything from callous and cold-hearted to brave saints. Our adoptees have been called everything from orphaned to lucky. Just how accurate are these pictures? The answer probably depends on many factors. What generation are you from? What media has fed into your viewpoint? How many people do you personally know involved in the adoption triad? What experiences have you had with unexpected pregnancies or pregnancy scares? What experiences have you had in raising children? Where has the road of life led you? Just as every individual carries their own unique, fingerprints and genetic code into the world, those touched by adoption are unique individuals as well. To paint any group with a single brush is risking limiting the individuals involved to a stereotype. So we urge you to have a little compassion. Show a little empathy. Remember that there are individuals behind the stories and the words. How do you view adoption? Posted on April 3, 2019 at 6:00 pm. Scam. I’ve been scammed! I sent my money to a Nigerian prince, only to find out there is no Nigerian prince. I sent money to the IRS because they were threatening me with arrest. Only later did I find out it wasn’t really the IRS. I thought I was in love, and my man ran into some trouble overseas and needed money to pay a hospital bill. You know the outcome…it was a scam! Adoption scams have been around for a long time as well. Typically, this will involve a woman either pretending to be pregnant, or in some cases actually is pregnant, promising the baby to multiple potential adoptive parents. In the traditional scam, she will take money for living expenses from these families, only to have a change of heart when the due date comes and goes. Of course, this is highly illegal. It is a Level 6 felony in Indiana. And most agencies, attorneys, and prospective adoptive families are on the alert for these. But what if the payoff for the scammer is not money? What if the payoff is your time and attention? As the use of social media becomes more and more prevalent in connecting expectant families to potential adoptive families, the possibilities for fraud also becomes more common. Recently the term “emotional scam” has entered the conversation after the promise of a baby being born “in the next couple of days” is offered to potential adoptive families without the request for money. In these scenarios, an expectant mom reaches out over social media and begins talking with a prospective adoptive family directly. Usually the conversation goes very well and seems to be legitimate. 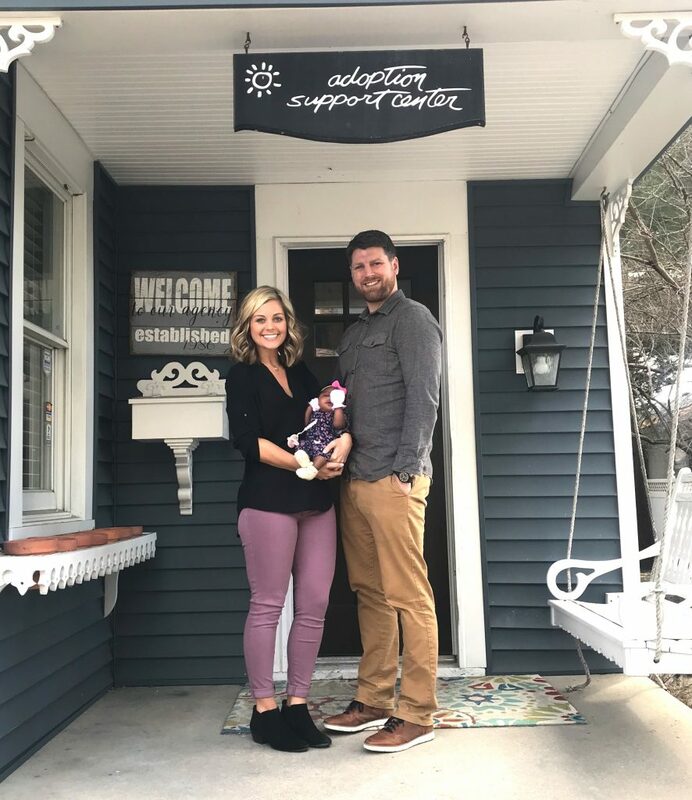 The adoptive family begins scrambling to make plans to travel to another state, engage an attorney or agency in that state, and make arrangements for an adoption to happen! Of course, there comes a point where the story falls apart. Maybe the potential family encourages the scammer to contact their agency or attorney. Maybe the potential family suggests a meeting and is met with resistance. Maybe the instincts of the potential family kicks in and they simply block this person from their phone and social media accounts. No money has changed hands. Where’s the harm? For anyone trying to adopt, the harm seems obvious. Hopes and dreams are on the line! The thought that someone choseyou, wantsyou, and thinks you will be great parents is the validation you have been looking for! It’s the next step in getting a baby. It’s the next step to parenthood. For the scammer, the payoff is the attention that is received. It’s the listening ear, the sympathy, the time. 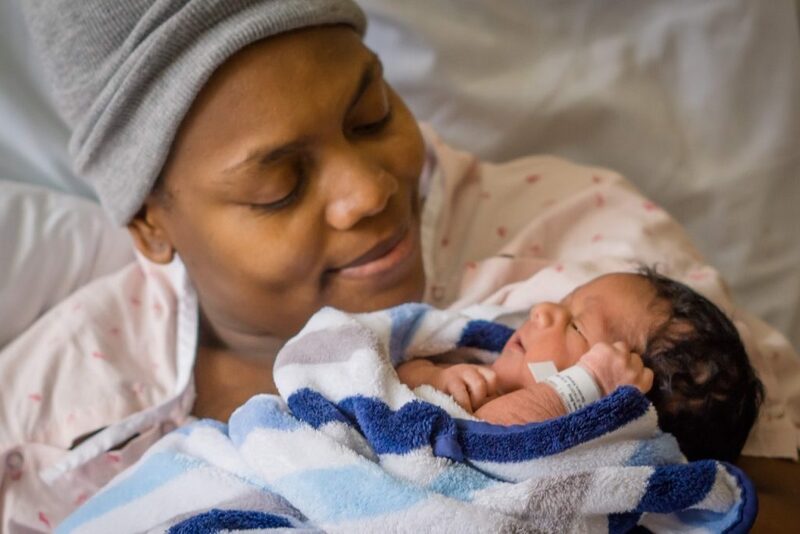 The good news is that families hoping to adopt and who are working with reputable professionals have support and emotional reserves on which to draw that will carry them through until their baby is in their home. The time spent with someone trying to scam them will pass and someday be a distant memory. The scammer will be left looking for the next attention fix—scouring the internet for the next vulnerable person who will ease their loneliness and pain. If you are not certain about a potential adoption situation, please contact your agency, attorney, or home study provider. The process of adoption is difficult, but you don’t have to go through it alone. There is no “typical” adoption. Posted on March 28, 2019 at 1:56 pm. You will hear it a million times, but it couldn’t be more true. There is no “typical” adoption. When we met our amazing, strong birth mom for the first time, we clicked like crazy, and laughed and talked our way through a two hour dinner. We thought she was due in two months. But when it was determined she might deliver earlier (like, three weeks from that first meeting earlier), my husband and I watched the amazing ladies of ASC spring into action to button up all the paperwork, and answer our one million questions. Our birth mom generously invited me to be with her in the delivery room, so I could be with the baby from her very first moments. We bought a car seat, and packed a “go” bag, so we could be ready to run to the hospital the second we got the call that she was in labor. We cleared our schedules and let our bosses know what was happening so we could have some time off when we brought baby home. We were so incredibly excited to be matched with someone that just felt “right”. Then we settled in and nervously waited to get the call. But the call that finally came was our coordinator Leah telling us that the baby had arrived even earlier than what we were expecting, and the birth mom had changed her mind about placing her daughter for adoption. It didn’t sink in what had happened. All that build up, and all that springing into action, then no baby. Our prayer from the beginning of our adoption journey was not just to become parents, but that the situation with the birth mom felt resolved and right, and we knew she was at peace with her decision. So of course we understood that she had changed her mind, and we comforted each other by saying “this just wasn’t meant to be our baby”. But it still really hurt. About two weeks after the fall-through, I found myself telling a friend “we lost a baby”, and just saying the words out loud really drove it home. We were back on the waiting list, back to square one, waiting to be rematched, still not parents. Thanksgiving came and went, and we dragged ourselves through it. My husband forced me to decorate for Christmas, and planned a trip for me to visit a friend in NYC to get my mind clear so we could be emotionally ready when the time came to be rematched and go through it all again. Instead, we got another call from our coordinator Leah saying that birth mom had changed her mind back, and would we still be open to adopting her baby? My husband said yes right away, but I had so many questions, and honestly, my heart was still broken from the first go-around. I didn’t think I could bring myself to potentially lose the same baby two times! Leah answered literally every single one of my questions. The adoption was set for the next day. This baby girl was being placed for adoption. The birth mom really hoped that we would be her parents, but understood if we couldn’t get there that quickly after the fall through. Looking at our awesome daughter now, and seeing how perfectly she fits into our family, I can’t believe I questioned it for even a millisecond. We truly got the child we were meant to raise, and are so happy we put our hearts on the line one more time! Adoption day was so incredibly special. We drove to the agency, unsure of what would happen, if the birth mom would go through with it, trying to find the words to write in a card to express our gratitude in case we didn’t stay in communication and never got the chance to tell her again. We knew it must’ve been such a struggle for her to prepare herself to place her baby for adoption two different times, and we had been thinking of her and praying for her during the weeks after the fall through, just hoping she was doing well, and at peace with her decision. As hard as it was for us to go through the fall through, we couldn’t even imagine what she was feeling. When we got to the agency, the paperwork had already been signed. It was done! She was our daughter! We walked to the back building, and our incredibly strong, amazing birth mom literally placed her daughter she had been parenting for the past month in my arms. Just like that, after years of waiting for a baby, all the doctor appointments, all the frustration and pain that comes with infertility, all the heartache, she made us parents, made us a family of three. It was such a powerful, and amazing, and surreal moment. The gratitude we felt (and still feel) is really indescribable. One of the best days of our life was probably one of the worst days for our daughters birth mom. 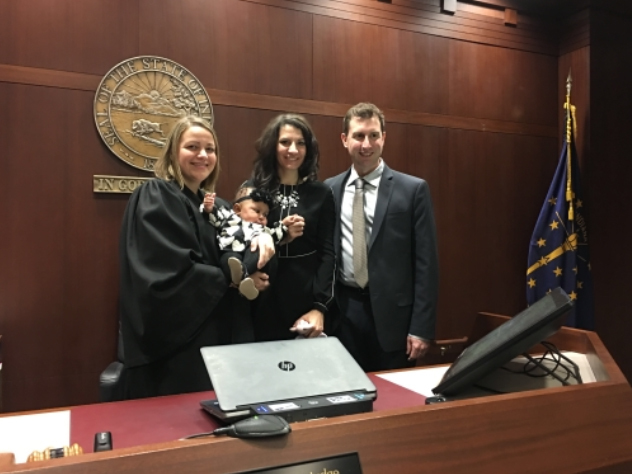 Her strength in that time is something we are excited to share with our daughter when she’s older, so she knows without a doubt that the decision to place her for adoption came from absolute love. We all sat together, talking and laughing about what super awkward new parents we were, our birth mom’s friend teasing us about how bad we were going to be at doing our daughter’s hair. We will always treasure that time we got to share together. When our daughter’s birth mom was ready to go, we said our goodbyes, spent about twenty minutes figuring out how to buckle her into the car seat like total nervous new parents, and headed home. It really is amazing how quickly you can fall in love with your child. By the time we got home, a switch had flipped, and she was our daughter! The next couple of days were such a blur. We literally became parents overnight! With so much help from family and friends, baby gear and supplies showed up at our house, and we began to settle in. The lights on the Christmas tree my husband forced me to put up turned out to be a great way to calm a fussy baby. Friends and family visited, and everyone called her our Christmas miracle (and she was!). The trip to NYC was cancelled and my google searches switched from “cute winter boots” (to pack for my trip) to “best baby bottle for one-month-old”. With no planned maternity leave, our brand new daughter just slept in a swing next to me while I finished work projects, and we figured out how to work out this unexpected parenthood. It was such a crazy, sleepless, hard, amazing, joyful time! We weren’t sure if we would hear from our daughters birth mom or not, we had left that decision up to her. After about two weeks, she got in touch, and was ready to see some photos and just check in. I was so scared to share photos with her. What if she wanted her back? What if this child we had already fallen in love with wasn’t going to be ours anymore? What if it was too painful for her to see her baby she placed with new parents? It didn’t matter that all the paperwork had been signed, and everything was official, that crazy strong (and sometimes irrational) maternal instinct still kicks in. My husband and I remembered what we had been told in our pre-adoption class about honoring our birth mom by keeping our promises, so I took a deep breath, and sent a bunch of photos. And we got the most amazing response (we saved it to share with our daughter when she’s older). “I love the pictures. You just don’t know how happy I am that you two took her in as your own. Words can’t explain how I feel. Thank you for the pictures.” And it clicked. We were just three adults who will always be unified in wanting the absolute best for this little girl. It is such a powerful and amazing thing to be a part of. Literally one of my favorite things we’ve gotten to do as human beings. My husband and I both feel so lucky to have experienced what we can only imagine is adoption at its best. Our daughter is now two and a half, and we look forward to our visits with her birth mom. They are always the best, most joyful days, and we continue to be in awe of her strength in this decision, and her dignity and grace. We are so glad to be able to give her the opportunity to see firsthand how happy and healthy her daughter is. And, of course, we are so, so very grateful that she chose us, and we get to be the parents of one awesome little girl!! Posted on March 21, 2019 at 4:36 pm. So much is written about adoption, but little of it is non-fiction. And the fictional books about adoption tend to be romanticized orphan tales—think Anne of Green Gables. This is unfortunate, because often times a good story is easier to remember than absorb than merely facts. The novel Girls in Trouble steps into the gap and weaves an intricate story about open adoption that succeeds in portraying the emotions of one set of birth parents, adoptive parents and adoptee. Ms. Leavitt narrates the book from the stand point of sixteen-year-old Sara, “older” adoptive mom Eva, and eventually a teenage Anne, the adoptee. Along the way, readers catch a glimpse of the feelings and actions of others involved, like Sara’s parents, adoptive dad George, and birth father Danny. Overall, this is a great read for any fiction reader with an interest in adoption. There are limits to the story, of course. To move the story along there must be tension and drama. To that end, Ms. Leavitt creates situations that are the nightmares of both adoptive and birth parents. The book was published in 2004, before the takeover of smart phones and social media so prevalent in our culture. This is also an interesting challenge for the timeline of the story, as the story should be opening in approximately 1988, long before open adoption was widely practiced. This could explain why no one in this story was really prepared for an open relationship. This is definitely worth the read. If you take the journey, think about with whom you most sympathize. What would you have done differently in that person’s shoes? Does this story give insight into a different perspective? Is there a part of the grieving process that especially rings true? Posted on March 18, 2019 at 3:40 pm. I almost feel like I’m in some kind of AA meeting and did something wrong when saying that. I have been made to feel ashamed of the decision that I have made by some people. It has taken me a little over a year to feel comfortable with placing my child for adoption. My husband and I kept pushing forward and working on getting our crap together. 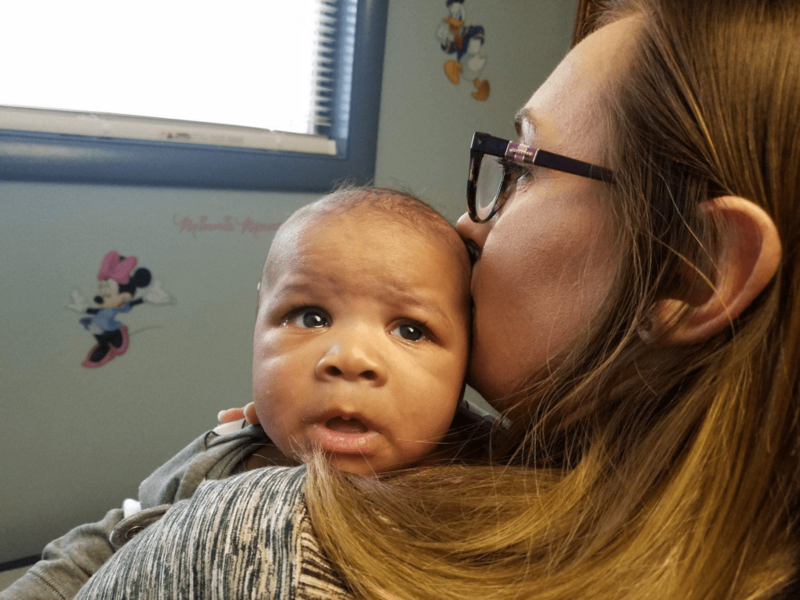 On August 24th, I went into the hospital… I knew it was time. The nurse was so kind. She took me back and checked me. My water had not broken yet but I was dilated and in labor. She got me all hooked up to the monitor and we heard the baby’s heartbeat. I looked over and saw my husband crying. He just simply shook his head no… I knew that there was nothing we could do for this baby. It had come down to the day before our child was born for us to finally decide that we were not fit to be parents at that point in time. There was no way we could take care of this child. We couldn’t even take care of ourselves. I had told my nurse that I needed to talk to someone about adoption. That my husband and I had decided upon this and that we needed to make sure everything was taken care of before the child got here. My nurse asked if this was something that we had really wanted to do. When I looked at her, she didn’t have to ask again. She told me she would get social services to come speak with me and the process would start there. I was broken. My husband was broken. Did this make us bad people? Would this child grow up to hate us because we didn’t keep him, or would he ever think that we didn’t love him? So many emotions, I was a wreck. The very next day my husband unfortunately had to go back to work because he had just started his job. I was at the hospital by myself with no one, just my phone and the TV that was in the room and just waiting for the next day to get here so that I could go home. Then, what do you know, my brain started running a million miles an hour. I started wondering what in the hell did I just do, would this child ever get to know that I loved him, what in the *^$%#^#$%@$%^^&$^&*&*$^%&#$%%@$#$#!$#^$#^%&$^*(&*^*&#$%$%@#$!%$^&%%&*%&*(^&%#$%$@$#%@$^$%*&%&*(^(&*(*$%^&#^@%~@#$!@#^%&%&()(@#$%@$$%&*&*(%&#$%^#$! Did I just do???? I nervously called the social services lady from the hospital phone not knowing what the answer was going to be to my next question. Now mind you, my husband and I did not see our baby at birth since we requested him/her to be immediately taken away into another room. Whatever the room number was… It felt like forever before I got a response but that was just me in my head being dramatic but the lady over the phone knew exactly who I was and all she told me was, “Hunny you haven’t signed anything yet. The baby is still yours. If you want to see the baby, I can bring the baby up to you.” I told her, “yes”, and it wasn’t even ten minutes later that I saw my child for the first time. A very nice nurse rolled the baby in and the very first question I had was, “is the baby a boy or a girl”, The nurse then told me that I had a baby boy. And he was the best baby boy I had ever seen. So little and just so precious. He looked just like his daddy. And was perfect all the way around. This was my child. My baby. I needed to spend some kind of time with my child before I just let him go for forever. All my husband said was, “I can’t bring myself to meet him but if you want to take pictures and send them to me, I can do that. I love you baby.” So, I did. I took pictures and sent them to my husband. After that, we talked a little bit about our baby and how beautiful he was and how we would miss him and how this was going to be really hard for us and so on. I spent more time with Baby Boy (his name at the time because we didn’t name him). Took a lot more pictures and then I wrote a letter to his new parents and to him while he was sleeping in my arms. I don’t remember what I wrote but I know that I was very sad. 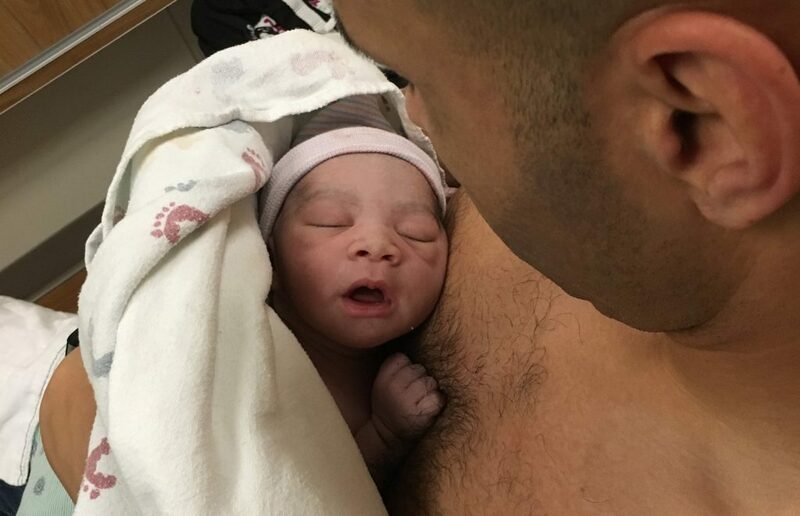 I was very torn and all I wanted for these new parents of his was to know that I loved him so much and that I would never stop loving him. That his dad and I were married and that he was a part of my life and that we chose a closed adoption just because we didn’t feel good enough for him. We weren’t stable, we were very young and we couldn’t take care of ourselves. Just explaining to whoever these people were that we were human, and we had these feelings and that we just wanted them to know that we did want him. We just could not keep him. After that, I called for him to be taken away from the room because I needed to get some sleep because in the morning my husband and I would be signing paperwork with a lawyer to finalize the adoption. Of course, Amanda was there as well, and this is mainly where she comes into the story. When we decided upon adoption, the hospital put us in contact with the Adoption Support Center. Amanda called me and asked me a bunch of questions. We talked for a little while and basically from my standpoint at that time I made it clear that I did not care which family my child got placed in. All I wanted to know is that the family he was going to would love him and would be great for him and that they be the best family that she could pick for him to go to. I left everything up to her. I couldn’t make any more decisions. I had already made the choice that I was placing my child for adoption and there were really no more decisions that my husband or I could make. Amanda came in the next day with the lawyer. We signed paperwork and everything. Our lawyer told us at any point in time that if the parties involved decided to make the adoption open that we could and a whole bunch of other stuff but I can’t remember what else said, I was having a really hard day. But I remembered the part where we could make it open and that I could see my son again one day. Well, it wasn’t even a week later and I was texting with Amanda about how I couldn’t do the closed adoption like I had thought. I told her that I would like to speak to the parents and if they wanted to email or text or meet or whatever… that I just wanted them to know me and who I was and what their new child’s background was. Well Amanda being Amanda she got everything rolling. First, we started emailing anonymously as we didn’t know each other’s names. Well, they knew ours, but we didn’t know Anderson’s name and we didn’t know their names so we just started sharing info back and forth. Very quickly that emailing turned into texting and then before any of us could catch our breath myself, my husband, Amanda, and our sons new family were all meeting at a local restaurant to sit down for the very first time. We literally did everything backwards. It really was the most stressed I had ever been in my life. But we clicked. We had similar views, similar interest and even similar parenting styles. Everything just went better than expected. All of this happened over a year ago. My son is now a little over one. I got to feed my son his first birthday cup cake. I have been involved in almost a weekly basis getting updates. I was involved in almost every aspect of my son’s life. I mean his mom and I just sat down together this past January and decided when we should get his hair cut for the very first time. I still feel like Anderson’s mom and Jenelle, his Mommy, has never made me feel like I’m not. She knows that this was hard for me and she’s never kept me from him. We always talk out our differences. We always keep in constant communication and we just make sure that whatever we do is for the betterment of Anderson. What started as one of the worst days of my life actually saved me. I LOVE my son’s family. I love them all to pieces. I couldn’t have asked for a better family. I don’t have to act like he isn’t my son. I don’t get slammed for saying, “OHHHH, look at MY baby”. I don’t get shamed for giving him up. Jenelle and her husband just love me and my family and I couldn’t ask for anything better. The moral of this story is that each birth parent(s) has a story. Always remind yourself that whether you are in a closed adoption or an open adoption that the woman who gave birth to your new baby went through some kind of hell to have to make this decision. No one just decides one day oh… hmmm… I don’t think I want this child…. That is never the case. We all have our reasons. We all have some kind of story…. And even if your child’s birth parent doesn’t show it. Our children will always have a place in our hearts, and we love them very very much. Your decision to adopt is saving not only the mother’s life (father’s life) but you’re saving that child’s life and from me as a birth mom I just want to say thank you. Even though you will never meet me. What you are doing for this child in deciding you and your family want to adopt will change the child’s life forever. I could not wish for a better life for my son. He will always know just how much I love him. And all I ask is that you do the same for your child when you get to hold them for the first time. Make sure you let them know how much their parents loved them and still love them. Posted on March 13, 2019 at 4:07 pm. When we finally read these words in an e-mail we knew that everything was becoming very real. We had been waiting months to get to this day. The countless hours of paperwork to go along with all the appointments and numerous ASC meetings had all led up to this point. We felt like activation day was kind of like the starting line to our adoption story. We couldn’t wait to reach these milestones; activation day, getting matched, meeting an Expectant Mother, and then signing day, but knew with each milestone would come a ton of emotions and realization that things could change in a moment’s notice. After the very first meeting with ASC we knew the biggest thing we would have do is be patient, and neither of us are great at that. Talking with other adoptive parents that we knew and had met during our ASC meetings we knew that it could take several months or even over a year before we would get selected by a potential Expectant Mother. We just continuously prayed and held on to faith that our future Birth Mother could be looking at our profile at any second. Our prayers were answered very quickly. It only took a week before we received the call that we had been picked and an Expectant Mother wanted to meet us. The level of excitement and joy we had during and after that call is indescribable. We had prayed for this woman and baby for so long and our prayers were finally being answered. With that phone call we had reached our next milestone. Sitting in the waiting area of the restaurant waiting to see/meet this Expectant Mother for the very first time we were filled with a very nervous but calm feeling. The kind that you usually feel before a job interview you really want or before the start of a big game. We had months of education and training that had prepared us for this moment but the nervousness was still there. Then this beautiful tiny woman walked through the door and flashed this big smile and it kind of put everything at ease. We instantly saw how strong and confident she was and we knew that our part in all of this was easy. We just had to show up but this woman was thinking about making the ultimate sacrifice. She was doing something so selfless that we would never be able to fully understand her feelings and emotions that she was going through. All we knew is that we were and still are truly thankful for her. The feelings we felt when saw ‘MATCHED’ in big orange letters on the ASC website were 100 times better than the activation e-mail. We had 3 months before a beautiful baby girl would make her entrance into the world and we were excited to be able to spend those months getting to know not only this Expectant Mother better but also the Expectant Father. 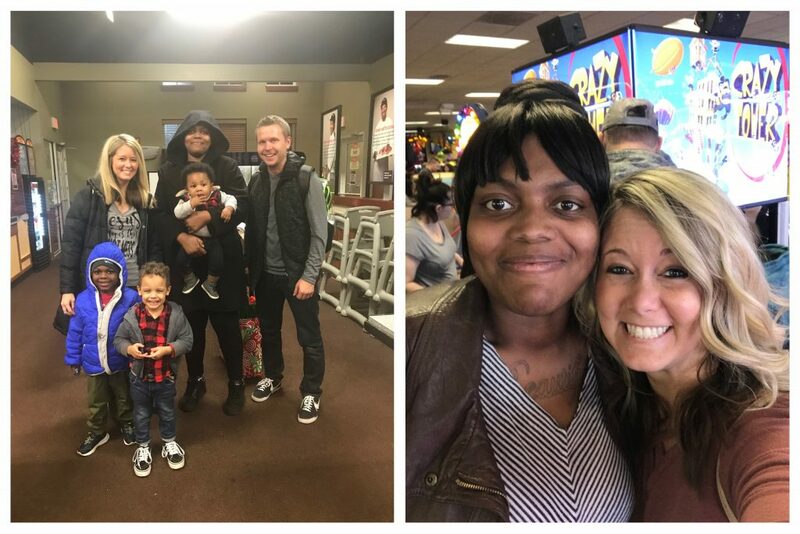 We knew a lot of adoptive families don’t get the chance to know the Expectant Father so we felt truly blessed that we were lucky enough to know him. During those 3 months we really learned how strong and amazing people they both are. We quickly stopped seeing them just as this couple who might possibly give us the most selfless gift ever but as family. Up to this point everything had gone the way that we had wanted but the realization that they could decide to parent was always in the back of our mind. Trying to keep our emotions in check was by far the hardest part during this time. We tried not to get too excited or buy a bunch of stuff before everything was finalized. Coming up with a plan for what we would do if they decided to parent was extremely hard but we both knew that it had to be done. Being prepared for every situation that might occur even though it was very hard was very necessary. With all the different emotions you really need someone strong to lean on and that’s where your spouse comes into play. There were a lot of days when one of us would be up and positive but the other would be a bit negative. On these days is when we really needed each other but we always knew that no matter what we would get the baby we were meant to have. After a long 3 months we finally got the phone call that we had been waiting for. Our Expectant Mother’s water had broken and this beautiful baby was going to make her entrance into the world. Being at the hospital was a stressful but exciting time. Can’t really put into words how lucky we felt that we got to share those 4 days with her Birth Parents and we all got to experience the whole thing together. The hard part about the whole thing was knowing that this beautiful baby girl was not really ours until everything had been signed. We just had to remember that no matter what happened we were supposed to be at that hospital for a reason. Whether that reason was to become the adoptive parents of this new baby or to just be there and support her amazing Birth Parents. It was very difficult to keep all emotions in check and not get too high or too low. As soon as we saw this beautiful baby girl we were instantly in love with her but again the realization that this whole thing might not work out the way we had planned is still in the back of our mind. We leaned on each other and prayer to help really get us through everything. As rough and exhausting as those 4 days were I wouldn’t trade them for the world. We really got to bond even more with her Birth Parents and got to know them on a more intimate level. Those days in the hospital we really grew into a big family and when they decided to sign and make us the adoptive parents of their baby girl it just sealed the deal that we would be a big happy family for life. Watching our Birth Parents walk down the hallway out of the hospital after signing was by far the hardest and most emotional time for us. We had been through so much the past 3 months and especially the past 4 days but nothing ASC could have done really prepared us for that moment. I wish there was a perfect way to describe that moment but there is not. We were so happy that we finally had a baby and our family had grown but we were so sad and heartbroken for her Birth Parents. That moment was by far the roughest. Getting in the car and heading home is when everything really hit us. We were going home with a baby! We also knew that we had to start telling her immediately how amazing her birth story is and how amazing her Birth Parents are. 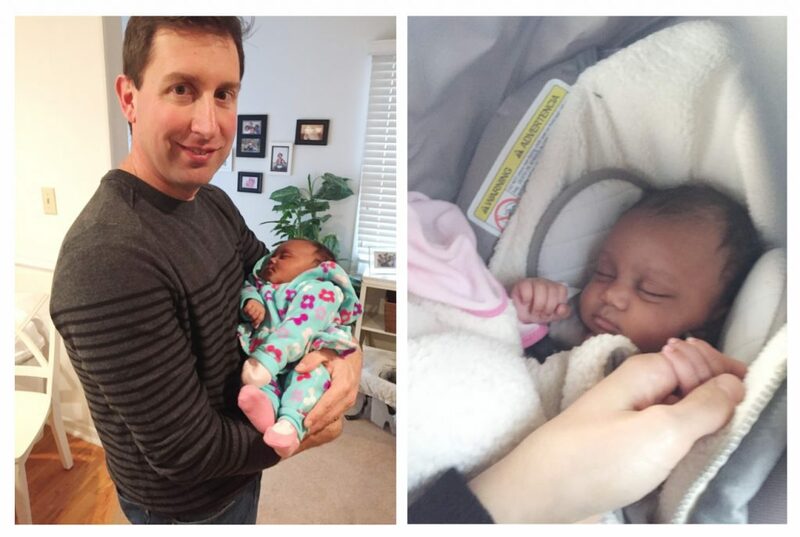 Open adoption is such a terrific thing and we feel blessed that her Birth Parents want to stay in her life and continue to see her and be updated on her. Every Sunday when we check in with them feels like a family reunion. We share pictures and stories and learn new things to tell our sweet baby girl about them. Adoption is a continuous education not only for us and how we can make ourselves the best adoptive parents possible but also how we educate everybody around us. We are so excited to watch our daughter grow and to tell her how amazing she is and how unique her story is. We watch her now with her facial expressions and we look at each other and say that’s the same look her Birth Mother makes. 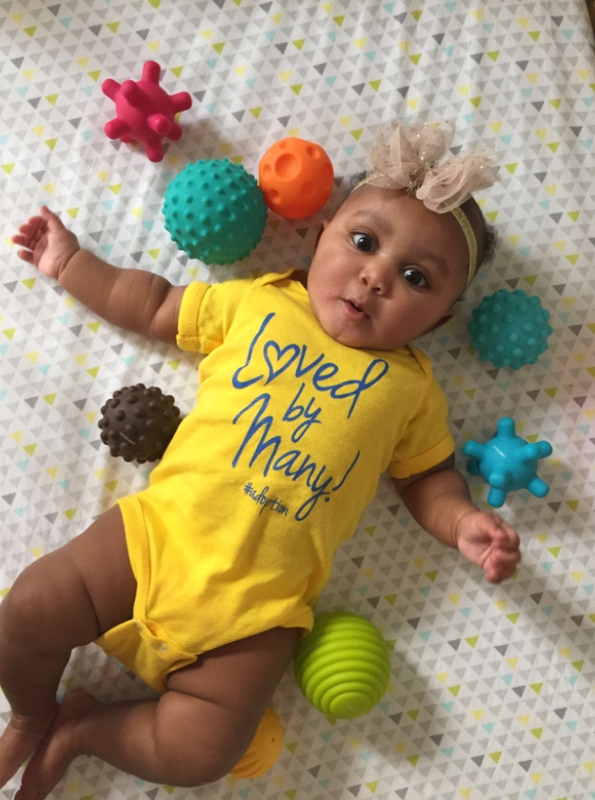 Adoption is a beautiful thing and we are so blessed to be party of the adoption community. We had finally got through everything and now we wake up every morning thanking the Lord for our beautiful daughter and her amazing Birth Parents. Posted on March 5, 2019 at 3:05 pm. Amanda here. I wanted to share Casey’s story, because she is my definition of a strong, brave woman. She is the reason I do the job I do, and why I am passionate about adoption. Casey goes on to say, “I wanted to know if it was too late to make a plan for adoption. I saw an ad for the Adoption Support Center. I didn’t realize it was an adoption agency. I just thought I could text and ask a few questions. I was so embarrassed to be 39 weeks pregnant. I gave my boyfriend way too long to prove that he was going to step up. The contractions had started and I was in a panic. 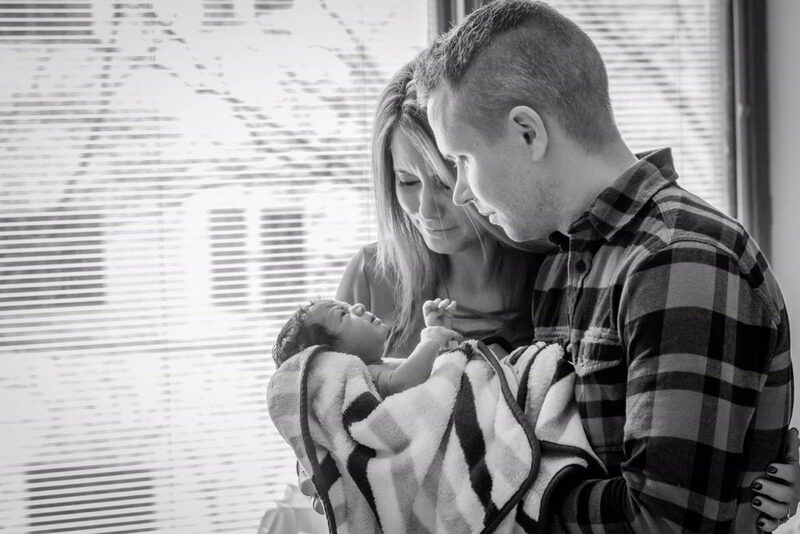 After Casey delivered her son, I had the opportunity to meet her and her son at the hospital. I had the joy of putting my arms around her and validating her thoughts and fears. Casey told me she wanted to continue making an adoption plan, and she narrowed her choice to two potential families from profiles I had brought to show her. As I watched, I couldn’t help but be overwhelmed by emotion. I knew those families on those profiles. I knew how much they wanted to become parents through adoption. I knew the elation that would be coming when I made the call that would change their lives forever. This is the miracle of adoption. Not every adoption story starts in the hospital, like Casey’s does. Some start months before. Some start in the months after delivery. But every single adoption story begins with a woman knowing she wants to give her child more than she can at that time. Every single adoption story is a story of strength and sacrifice. The privilege of being a part of an adoption story stays with me. So here is to the Caseys of the world. May their strength and courage continue to burn bright. 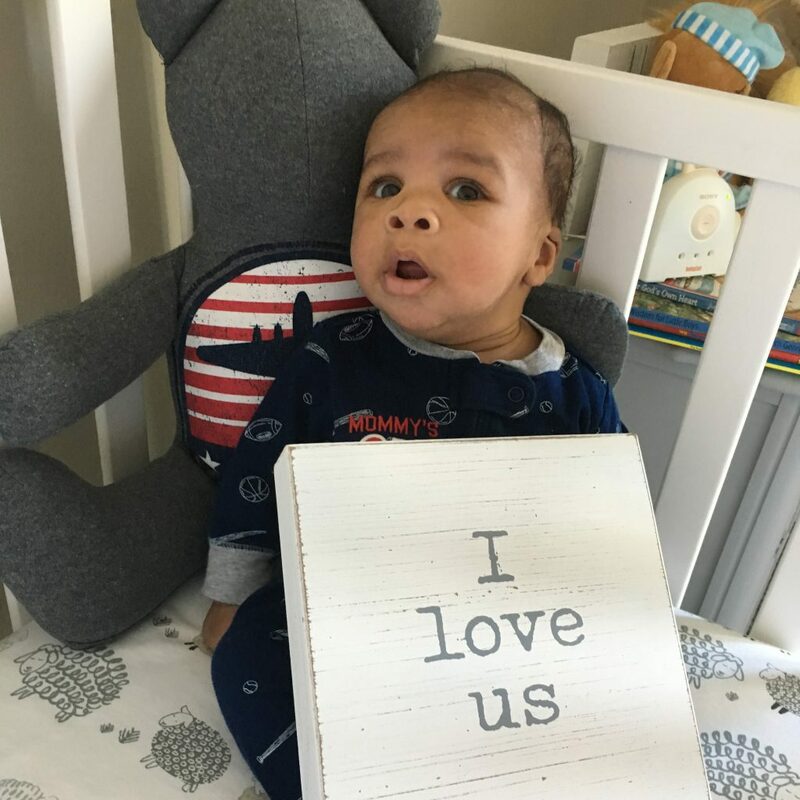 When we look at Isaiah, we know. Posted on February 28, 2019 at 3:54 pm. I remember the day I received that call from Leah. At the time, 3 potential expectant moms had chosen us as their first pick. Leah scrolled through their names…one women was due in July…one in September…and then the last women… December. At that moment, I remember thinking… it’s going to be December. Sure enough, the first two brave women chose to parent their children. Once October rolled around, we finally had the opportunity to meet with the expectant mom that was due in December. Immediately after leaving our first meeting, we locked in. There was something special about this woman. She spoke of this child, as if he was already ours. I remember her saying, “this is your child, I’m just carrying him.” I knew that our expectant mom could change her mind at any time, but for some reason we felt this calm come over us. We grew to love this woman and we knew that no matter what she would choose, we would support her. She was going to give this precious child life and we knew that whatever was to happen was already written in God’s plan. We know all stories are different, but it’s amazing that after all10 years of marriage, of our fertility struggles, the pain and grief of watching others enter parenthood, and anxiousness, upon entering adoption, this was ourtime. Our son was brought into this world on December 8th, exactly one day after his due date. Jason and I got to be in the delivery room. As soon as he was born, the nurses rushed him to the nursery. The plan was for me to go be with him, but I wanted to remain by her side. After a few minutes, she looked at me and encouraged me to go to the nursery to be with my new family. She is the strongest woman I have ever met. After signing, we had the privilege of taking our birth mom back to her home, while our son stayed in the nursery. I remember hugging her and looking into her eyes with so much thankfulness and gratitude for this precious gift. Our son is over 9 weeks old now and HE IS PERFECT. God made him to fit perfectly in our arms. I send texts and emails to our birth mom on a weekly basis, just because I miss getting to visit with her. I find myself wanting to know how her week is going, how her kids are getting along with school, and that she is happy. At this time, we aren’t exactly sure how much contact she will continue to have, but we will always be open to whatever makes her comfortable. She was there at the beginning and whether she is here physically or not, she will forever be on our minds, and in our hearts. After a few weeks of being home, I was listening to an online sermon. Pastor Brian spoke about Zechariah and Elizabeth. They longed for a child, probably much longer than me and Jason! An angel appeared before Zechariah and told him that their prayers had been heard by God. God was fulfilling His promises. God had fulfilled their personal desire to have a child, but even greater than theirdesire, was God’s desire…His eternal plan for their son, who would become John the Baptist. God fulfilled our want for a child too, but even more importantly is that there is an amazing story and journey ahead for our son, Isaiah. We look back and laugh… why, after all the challenges we’ve faced? WHY IS THIS THE PERFECT TIME?! Posted on February 22, 2019 at 4:32 pm. “What a whirlwind last year was at this time…. our basement had water from the massive amount of rain and we were dealing with all the emotions/feelings/thoughts as we knew our Birthmom was close to her due date. If you’ve ever been through an adoption, you understand the uncertainty of it all. I remember clearly believing with all my heart that no matter what the outcome (whether she chose to parent the child or if she chose to move forward with the adoption), God placed us in her life for a reason. And because of that, we wanted to love, support and pray for her the best that we could. We definitely went on an emotional rollercoaster ride the few days that followed his birth. But the time we were able to spend with his birthmom was priceless. We were able to connect with her on such a deep level. The first night we were at the hospital, she was was only allowed one person in her room and she chose me. So we spent almost the whole night talking heart to heart… about her hopes, dreams and fears about adoption and about life. I was able to reassure her that we were going to love her and support whatever decision she ended up making. It was a powerful time and I know without a doubt it was God ordained. Throughout this last year we have been able to continue a relationship with her and it has been so beautiful. She is such an incredible, strong woman with so much love to give. So not only do we celebrate Kendell today, but we honor her as well! Both of our birthmom’s are two of the most selfless women we know. We love them dearly and are so grateful for the precious gifts of life they have given us. 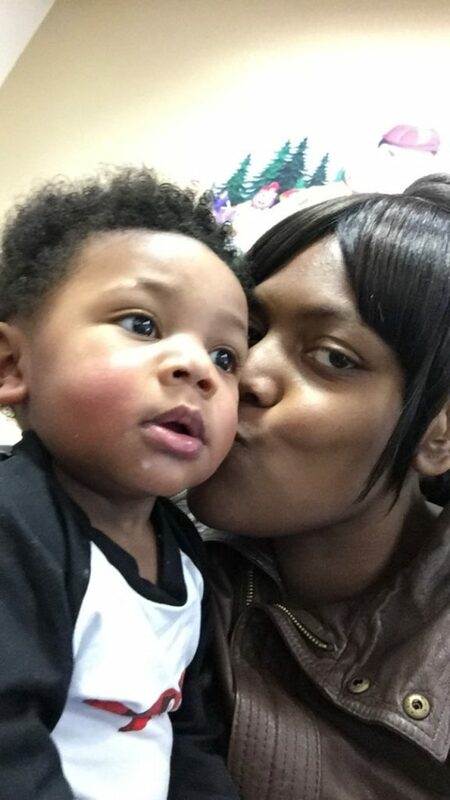 Kendell – you brought so much joy to our lives. You make us laugh on a daily basis. You are sweet and have been such a happy baby. We thank God often for choosing you to be in our family. We pray you come to know Jesus at an early age and that you love and serve him all the days of your life! Posted on February 14, 2019 at 6:27 pm. A month known to celebrate love, women’s heart health, chocolate, canned food, pies, dental health, and spay and neuter awareness. In fact, one website, Holiday Insights, lists twelve special awareness campaigns celebrated in this one short month. (www.holidayinsights.com). Probably the most important on this list is the official designation of Black History Month. February gives us the ability to celebrate Black History Month. There are special activities designated at sites throughout the state. The website Visit Indy (www.visitindy.com) suggests a tour of Indiana Avenue and the Madame Walker Theater Center or a visit to the Crispus Attacks Museum. Visit Fort Wayne (www.visitfortwayne.com) offers the African/African-American Historical Society or Allen County Public Library as great places commemorate this part of our history. Live in South Bend? On February 23, 2019 there is a musical celebration of the African diaspora at the IUSB Civil Rights Heritage Center at 3:00 in the afternoon. For our southern Indiana families, Bloomington offers a fully packed schedule of activities that can be found at https://bloomington.in.gov/sites/default/files/2019-01/2019%20BHM%20Calendar_draft. Is there a better way to honor and celebrate Black History month? What about having conversations about race? Looking at historical figures who have made significant societal contributions is important, but hundreds of thousands of people live their lives without the rest of us knowing about them. What is their experience of living day to day? What does a person of a different race or ethnicity think about you? How do you define racism? Do you see examples of segregation around you? How will you raise your children to embrace their own culture and celebrate the cultures of others? How will you be celebrating Black History Month? Our office hours are Monday - Friday 8:30 - 4:30 EST. We’re located just north of the canal in Broad Ripple. please call during normal business hours. Looking for advice or support? We are here to help. Call (317) 255-5916 or text (317) 560-4523.